A TOP PRODUCER IN SOUTH GULF COUNTY AND COASTAL REALTY GROUP, THE NUMBER ONE AGENCY IN GULF COUNTY! Living on the beach on Cape San Blas for almost 20 years, I am uniquely qualified to help you find your piece of Paradise or even sell your property. I am confident that there is no better fit for a Realtor on the Cape or in South Gulf County! Consider this your source for your dream beach or bay home or home site along Florida’s Forgotten Coast where you can find information on the unique beaches and towns of Cape San Blas, Port St. Joe, St. Joe Beaches, Indian Pass and Mexico Beach, Florida. Each community is unique and has much to offer! 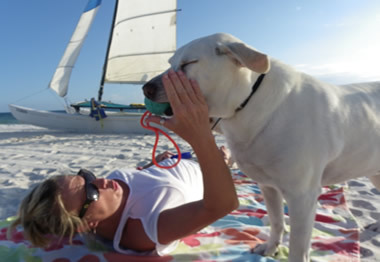 Cape San Blas is a pet friendly, seventeen-mile long barrier peninsula, curving around St. Joseph Bay offering playful surf and white sand beaches on the Gulf side and smooth, shallow water on the bay side. At the tip of the Cape is the St. Joe State Park offering camping facilities and Eagle Harbor Boat Launch. In fact, over 70% of Cape San Blas, FL is in public hands (St. Joseph Peninsula State Park, Rish Park and Air Force property), so there is no danger of wall-to-wall overcrowding as seen so often on other Florida beaches. The Cape is known for its clear, sometimes blue, sometimes green water and low, gentle surf. Many would not miss a Scallop Season! What is better than snorkeling all day for scallops then relaxing over a scallop quesadilla or the freshest ceviche you’ve ever tasted!? Families who vacation on Cape San Blas choose this spot for both its beauty and its seclusion. Drag a chair to the beach with a book, throw a line to the surf, or comb the shore for treasures. Scattered with shells, the sand in this quiet paradise is super soft and sparkling white and has earned America’s Number 1 Beach rating more than once! Indian Pass also has beautiful beaches and a boat launch. Throughout the area, fishing is abundant from the shore, bay or boat. Many travel long distances for some fresh Pompano, Grouper, Red Snapper and much more! Across from Indian Pass is St. Vincent Island National Wildlife Refuge and access to Apalachicola Bay. This lagoon is the home of legendary oysters! Port St. Joe, St. Joe Beach and Windmark are directly across from Cape San Blas and have much to offer. Next is Mexico Beach which has it’s own unique feel. Come see for yourself! However, all these areas are ideal for those who want to leave the noise and stress behind. You can truly get away from it all here in any of these beautiful Paradise communities. If you’re not looking for high-rises and traffic lights, this is the place for you. Coastal Realty Group has been the leader in real estate sales in South Gulf County since opening in January, 2005. As a result of this success, our advertising presence and referrals, we receive an abundance of calls from new and existing clients. I will share my personal knowledge of this area and you have my personal commitment to listen to you and match you up to your perfect dream home or place to build it! Having worked in Corporate America, employed by General Electric, then American Express for the last 20 years, I bring a unique approach and fresh perspective to the market. Though working in real estate since 2004 on a part time basis, I am thoroughly enjoying my return to the profession full time to assist others in finding their paradise in Gulf County. Since moving to Cape San Blas in 1998 I have been very active in contributing to the community. During my tenure at GE, I also owned “The Entrance,” located at the entrance to the St. Joe State Park, offering souviners, boat rentals, and much more. From spearheading efforts to make the Loggerhead Trails Bike Path on Cape San Blas a reality, to serving as a member of the Tourist Development Council for eight years. In 2010 when 1,800 sea turtles were found cold stunned in St. Joseph Bay, I became a founding member of the Gulf World Marine Institute, a non-profit organization that rescues sea turtles and dolphins with the goal to return them to their natural habitat, and currently serve on the Board of Directors. www.gulfworldmarineinstitute.org. (See my blog for pictures, videos and updates). And, have most recently been named the PIO (Public Information Officer) of the South Gulf County Fire and Rescue. Overall, I am passionate about Cape San Blas and all surrounding areas, as well as many other causes that keep Gulf County a great place to live or visit. I sincerely appreciate your consideration to represent you, your friends and family in your real estate needs, and hope to see you at the Beach soon! If you have any questions or need information on anything in Gulf County, please let me know!